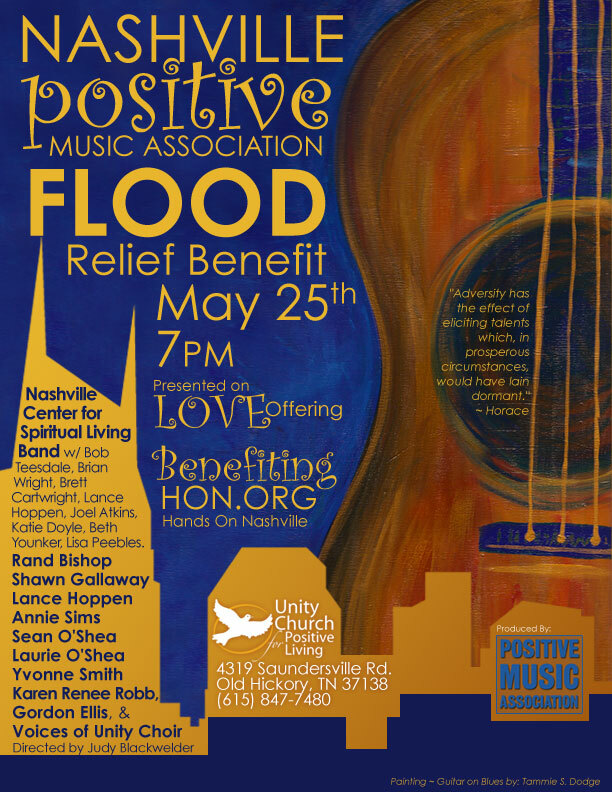 Please join us on Tuesday, May 25th at a special concert for Nashville flood relief. We have an amazing lineup of Positive Music artists, including Rand Bishop, Shawn Gallaway, Lance Hoppen, Annie Sims, Sean O’Shea, Laurie O’Shea, Yvonne Smith (hey, that’s me! ), Karen Renee Robb, Gordon Ellis, the Voices of Unity Choir and the Nashville Center for Spiritual Living Band with Bob Teesdale, Brian Wright, Brett Cartwright, Lance Hoppen, Joel Atkins, Katie Doyle, Beth Younker and Lisa Peebles. 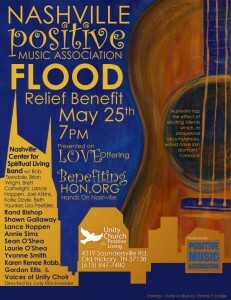 It all starts at 7:00 PM at the Unity Church for Positive Living in Old Hickory, TN. All donations and proceeds from the silent auction will benefit Hands on Nashville. See you there!